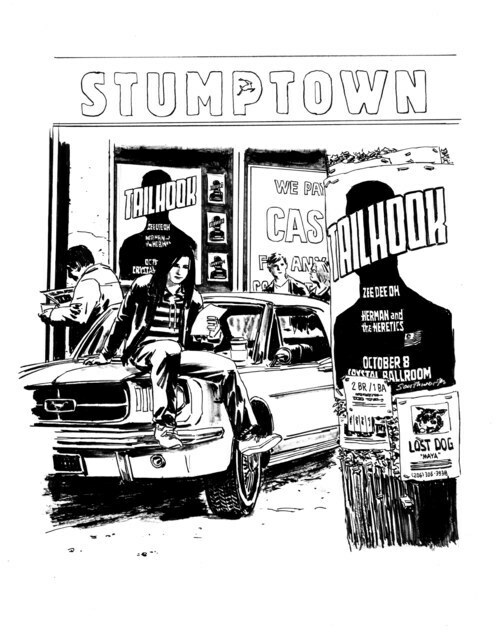 Tumblr is great for keeping up with what various creators are working on and last Wednesday illustrator Matthew Southworth posted a cover for a new mini-series of the Greg Rucka scripted Stumptown, the first issue of which is due for release in August. The collected version of the first series was one of my top-ten books of last year, so I'm very, very excited by this. If you haven't read Stumptown before, you can check out the first 19 pages for free over at Oni Press.